Why do Downy and Hairy Woodpeckers look so similar when they aren’t close relatives? Although most birds of North America are incredibly diverse, some species look very, very similar. One pair of species that look surprisingly similar are Hairy and Downy Woodpeckers. Human noise is changing how some songbirds sing, while causing chronic stress and reproductive problems in others. You can help scientists study bird populations in the longest-running citizen science survey. Gardens are alive. No matter what time of year, if you quietly listen and watch, you will notice the plethora of activity. From budding flowers in the spring to the rustle of withered seedheads in the fall, our gardens are supporting animals of all shapes and sizes. 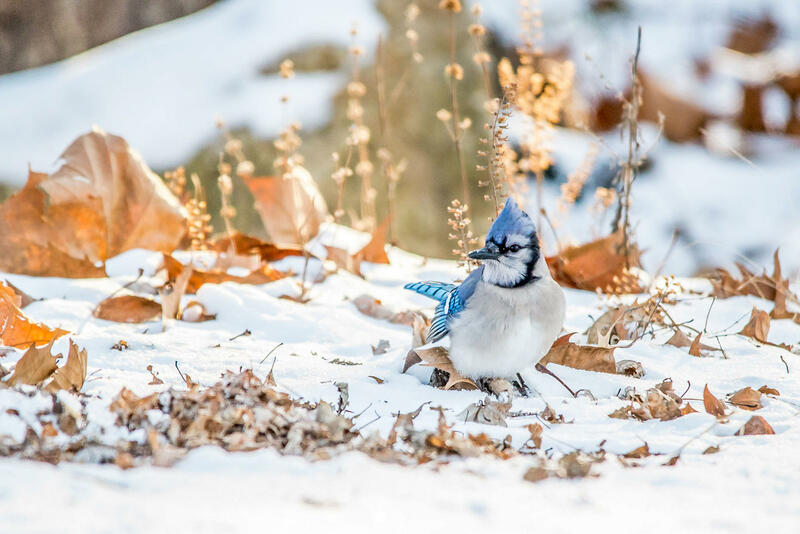 Here’s a secret not all gardeners know–if you choose to be a messy gardener in the fall and winter–the wildlife value of your garden soars. Bread can have a foul effect on waterfowl, but other food in your pantry may fit the bill. Are Cardinals Brighter In Winter? There’s something stunning about a bright-red male cardinal against a snowy backdrop. Is it just the contrast that makes them look so brilliant, or are they really brighter in winter? The answer has to do with some peculiarities in the way the birds molt.